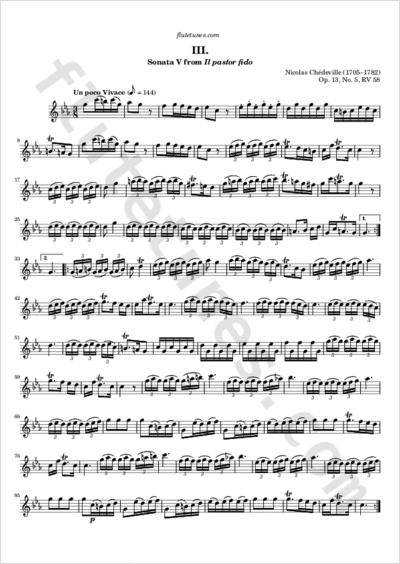 This is the third movement of the fifth of the Il pastor fido sonatas, first published in 1737 and traditionally attributed to Antonio Vivaldi. The actual composer, Nicolas Chédeville, made a secret agreement with Jean-Noël Marchand to publish a collection of his own compositions as Vivaldi's Op. 13. Chédeville supplied the money and received the profits, all of which was recorded in a notarial act. This may have been an attempt to give his instrument, the musette, the endorsement of a great composer which it lacked.